Action: Strathclyde Sirens v Celtic Dragons. 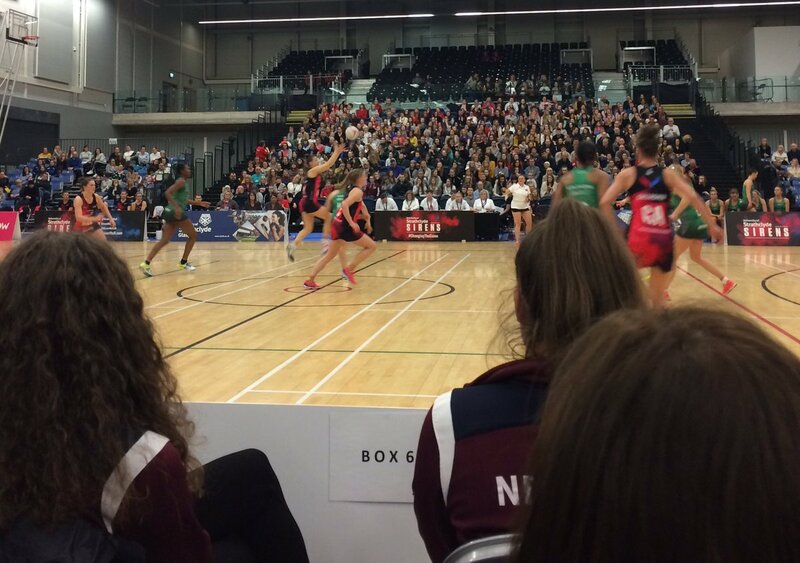 Celtic Dragons endured a torrid time in Glasgow, but battled to a close fought Vitality Netball Superleague victory. Captain Nia Jones and her team won the second, third and final quarters to earn a 50-46 against Strathclyde Sirens in Scotland. “It was a torrid match and could have gone either way,” said Dragons’ head coach Tania Hoffman. “But I’m pleased that the girls hung on in there and picked up intercepts when we really needed them. Celtic Dragons player huddle in Glasgow. Dragons won a desperately close match, hitting back from two goals down after the first 15 minutes and clawing their way back by winning the next three quarters 11-10, 14-12, 13-10. Their next Superleague test is against Wasps at the Sport Wales National Centre in Cardiff on Monday, February 18 and Hoffman said: “We have a few trainings this week and it’s really about looking at what Wasps bring to the table and how we can counter that. It was a fast and furious, physical clash in which the winner was decided on the fine margins of successful feeds into the circle. Quarter scores (Sirens first): 14-12; 10-11 (24-23); 12-14 (36-37); 10-13 (46-50). Strathclyde Sirens: GS C Tuivati, GA L Gallagher, WA N McCleary, C C Maxwell, WD G Abernethy, GD E Nicholl and GK E Gibbons. Reps: K Boyle, R Edgar, B Goodwin, N McCall and H Mulheron. Says “Saracens Mavericks” where it should be Strathclyde Sirens. Thanks for spotting – now corrected.